Image: “Muse” by Laura Christensen. 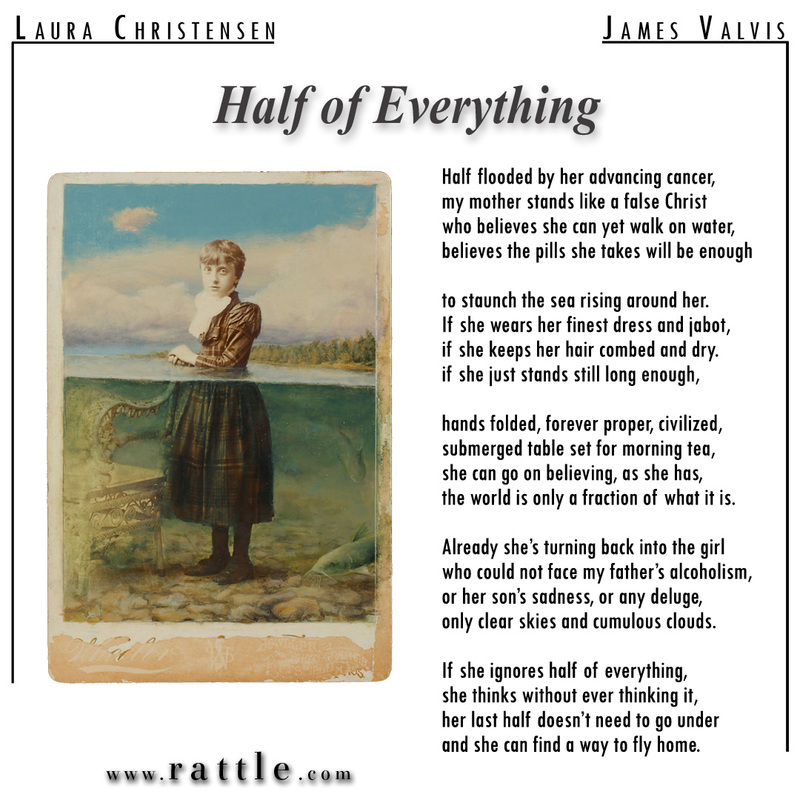 “Half of Everything” was written by James Valvis for Rattle’s Ekphrastic Challenge, January 2018, and selected as the Artist’s Choice. to staunch the sea rising around her. 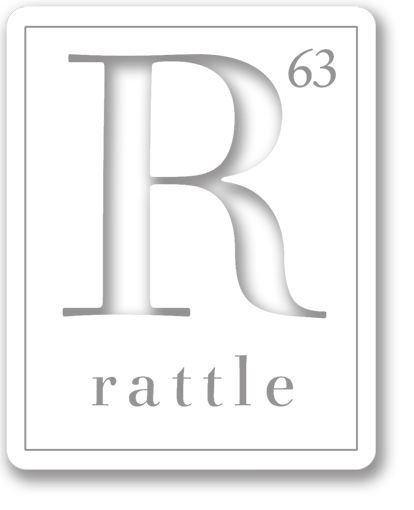 if she keeps her hair combed and dry. the world is only a fraction of what it is. only clear skies and cumulus clouds. and she can find a way to fly home.